We're sorry, but this toy is no longer in production. Read on to see our suggestions for alternatives! Hi! We're sorry, but Step2 is no longer making this model. 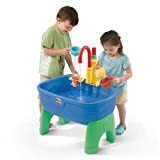 If you're looking for a way to splash about outside, why not check out the Cascading Cove Sand and Water Table, also by Step2? It doesn't have a water pump, but this best seller provides hours of fun and sensory exploration. 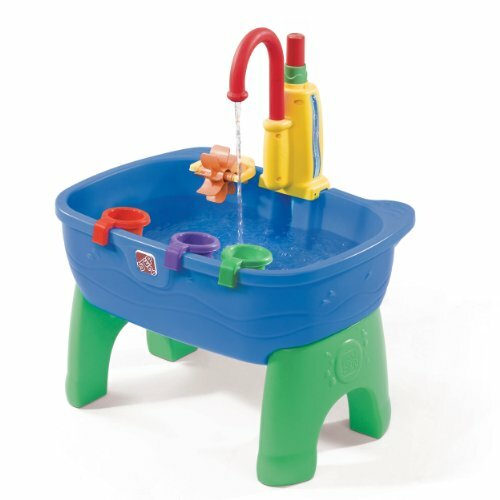 If the pump is really what you're after, take a look at the Splish Splash Sink and Stove by Little Tikes. It's small, but has a pump-action faucet for kids who like cleaning. Or pretending to clean. We're sorry that Step2 decided to discontinue this model. 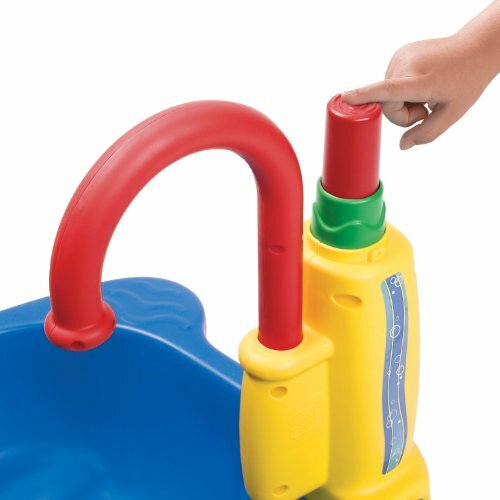 The battery operated pump was fun, but rather unnecessary for a children's toy. The manual pump seemed like a great idea, but some found it required too much strength for a small child to work it. Either way, we hope the toys above prove themselves to be just as splishy, as splashy, and as fun.